In a society that focuses on the private lives of football and basketball players, NASCAR drivers often go unnoticed or underrated. But off the tracks, the lives of NASCAR drivers are filled with big wins, cash, big houses, and beautiful women. Wives and girlfriends of NASCAR drivers have it just as good as the partners of other professional athletes. Read on to see what these gorgeous women do when they’re not watching their man on the speedway. Sherry Pollex is a fighter and a survivor with a cause. She is very fortunate to be dating Martin Truex Jr. While Martin Truex Jr. competes in racing in order to win, Sherry had a real life battle which could have ended her life. Sherry was diagnosed with stage III ovarian cancer in 2014. Martin supported Sherry throughout her battle. She lost her hair and shed 100 lbs because of the procedures that went along with treating cancer. In January 2017, she won her battle against deadly cancer. 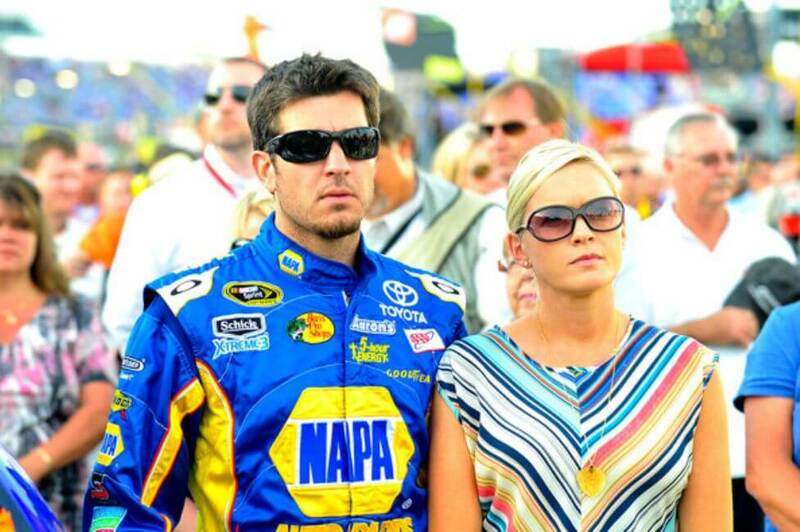 She and her boyfriend founded the Martin Truex Jr. Foundation in order to help children with pediatric cancer.